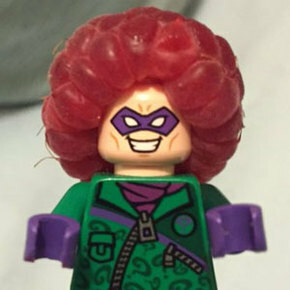 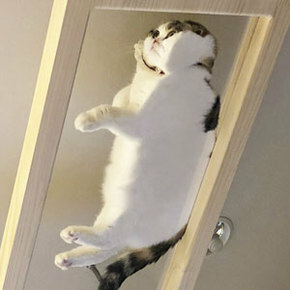 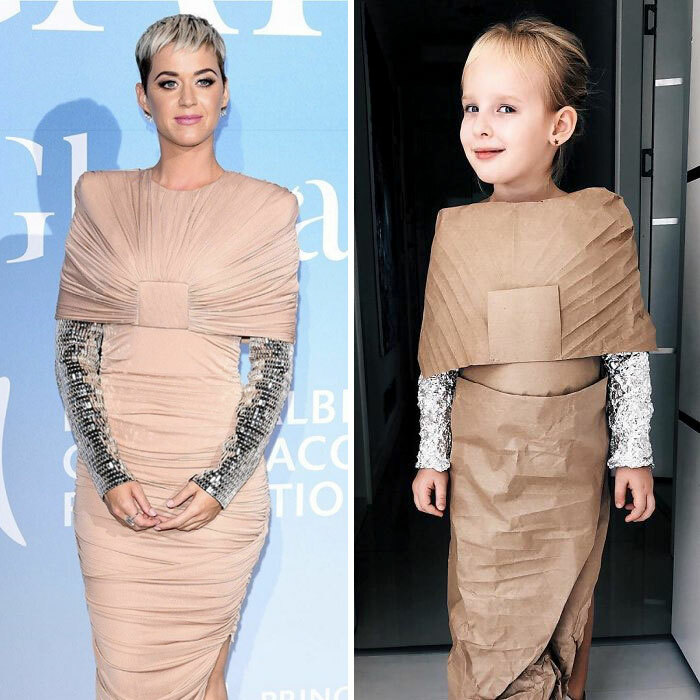 Celebrities often surprise us with their red-carpet looks – their outfits range from gorgeous to hilarious. 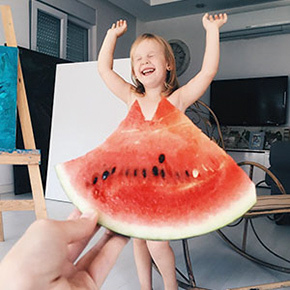 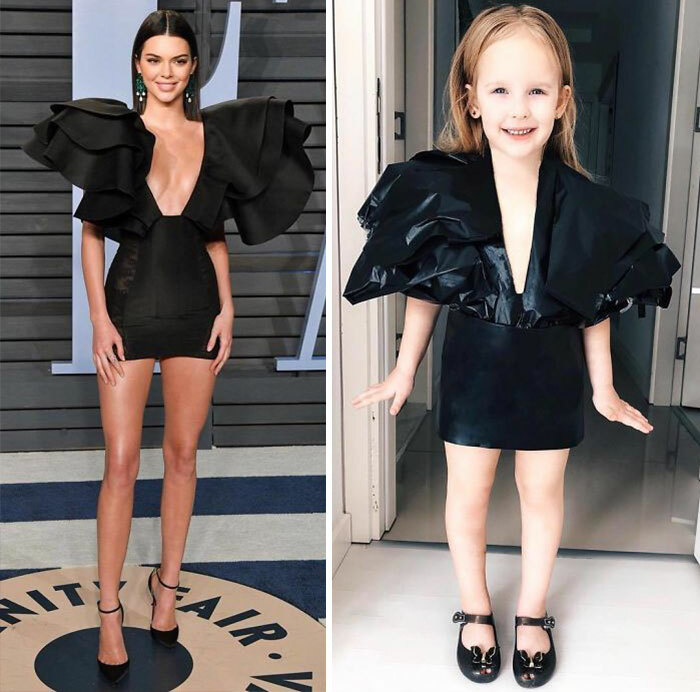 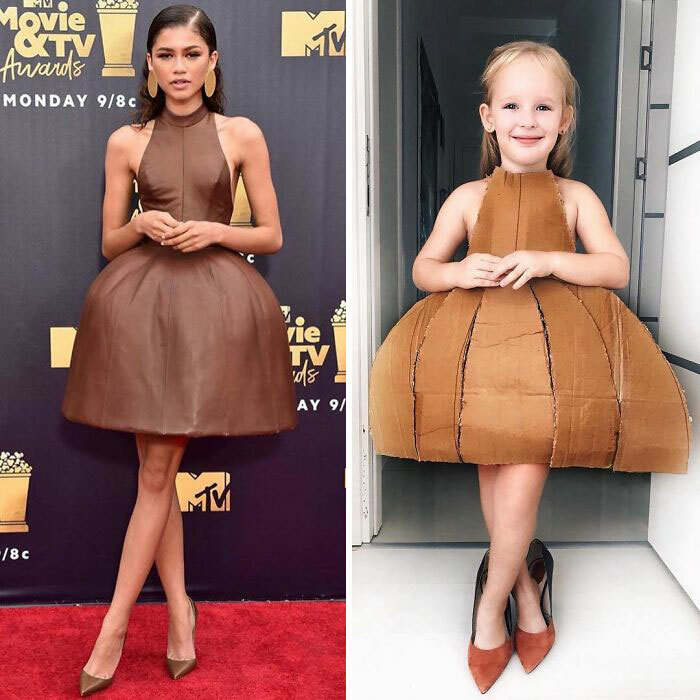 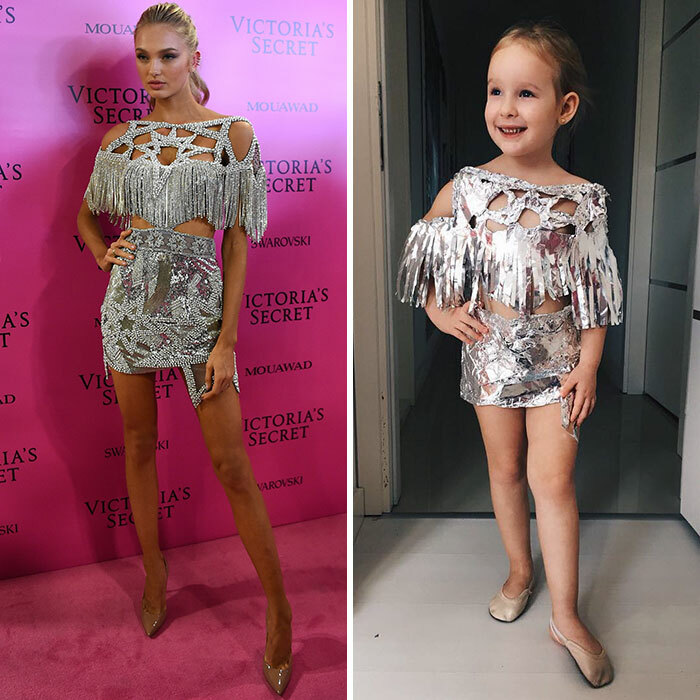 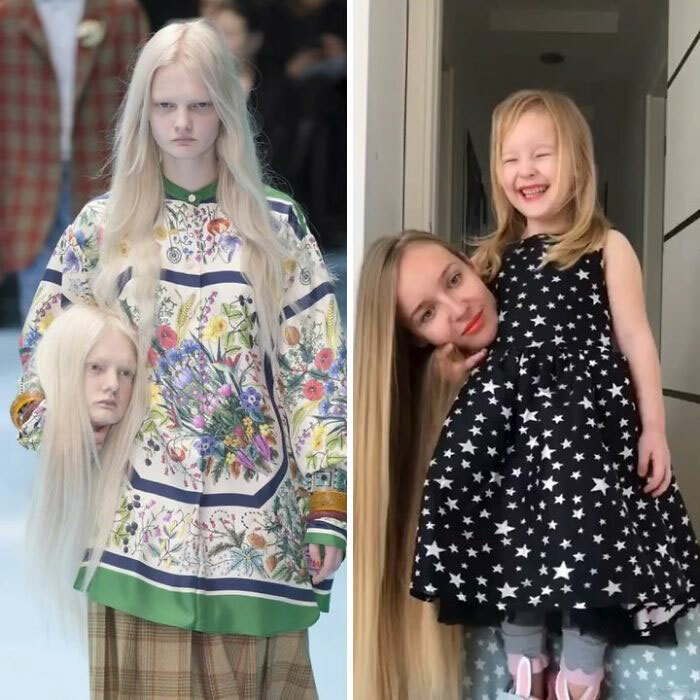 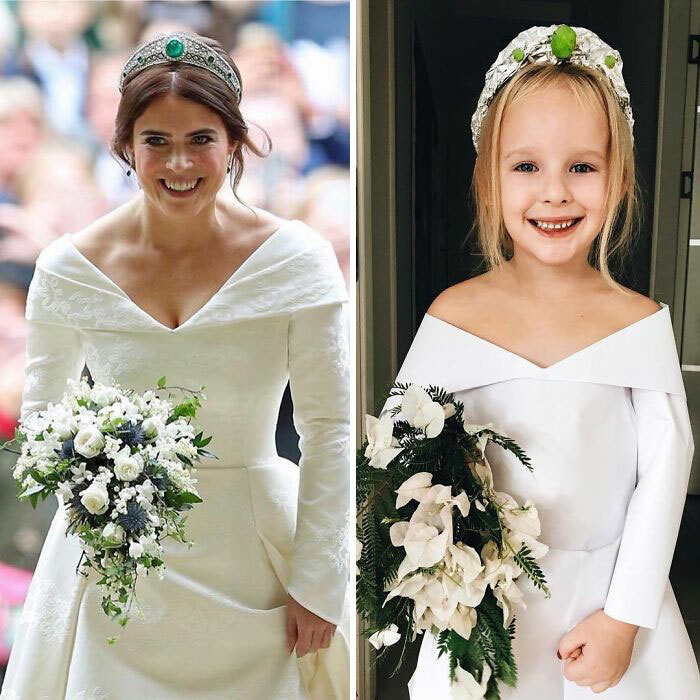 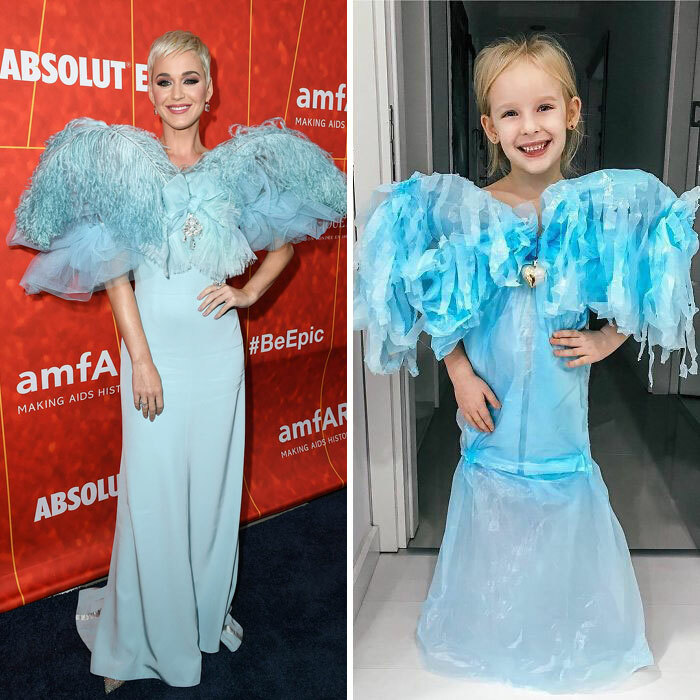 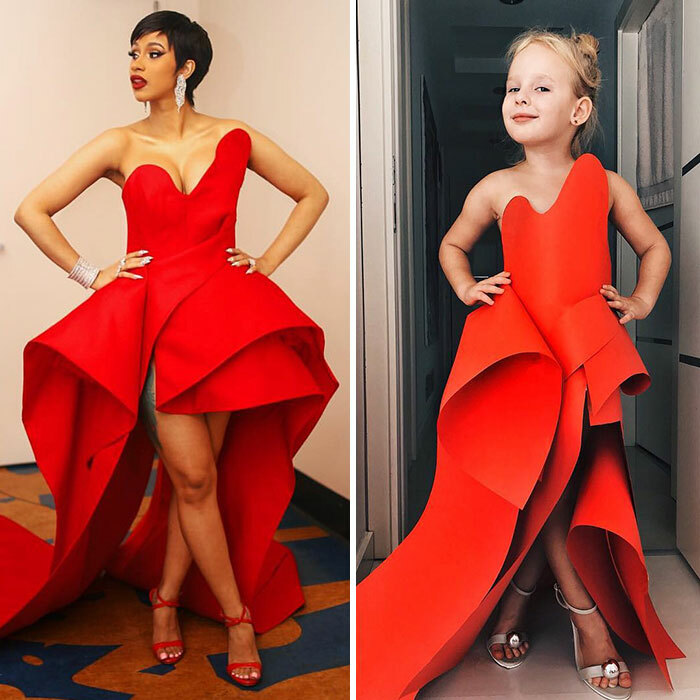 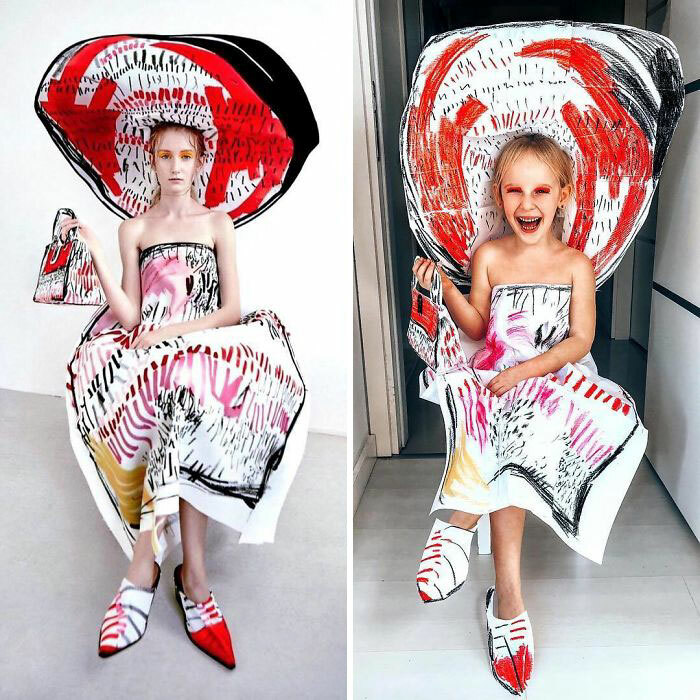 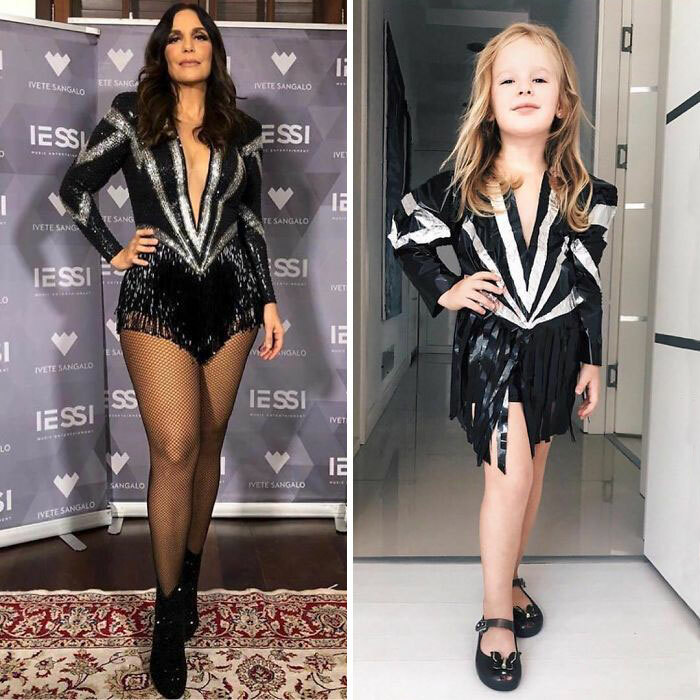 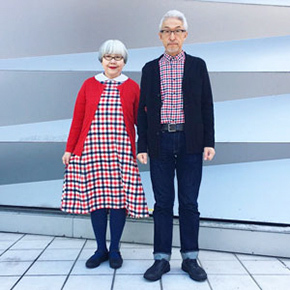 One mother, inspired by these outfits, decided to recreate them with her 4-year-old daughter and some of the results look even better than the originals. 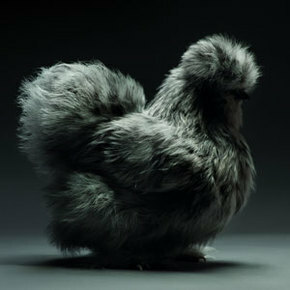 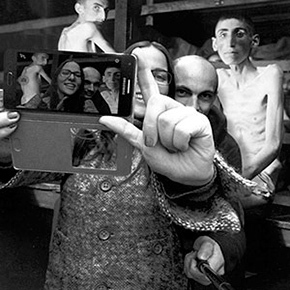 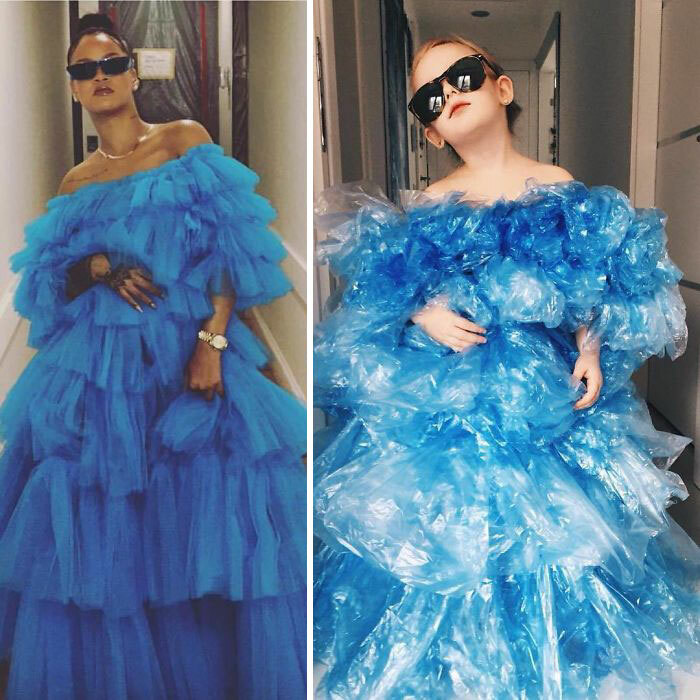 In an interview with Bored Panda, Alya Chaglar, the artist behind the project, said the idea for the series came after seeing a photo of Rihanna in a Molly Goddard gown. 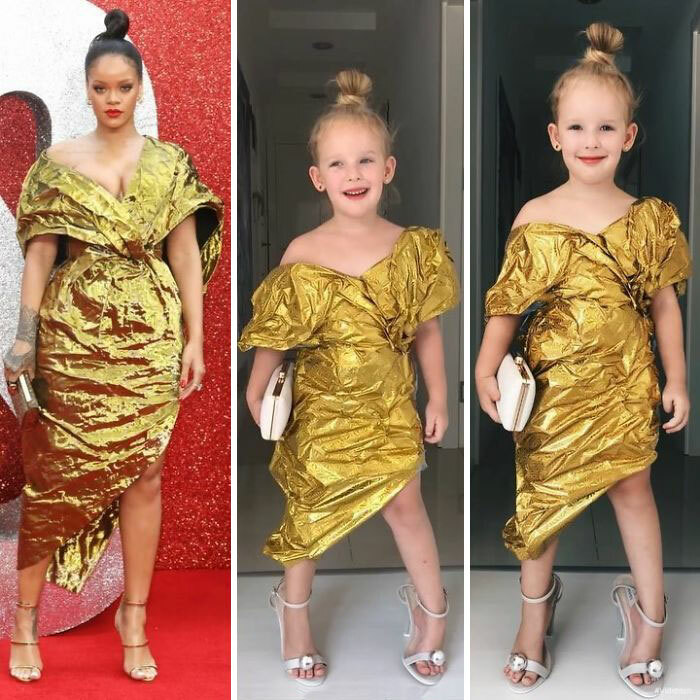 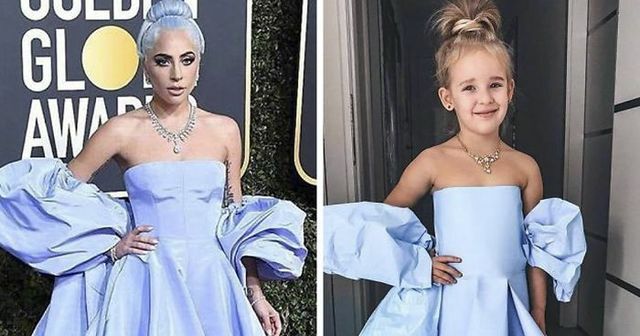 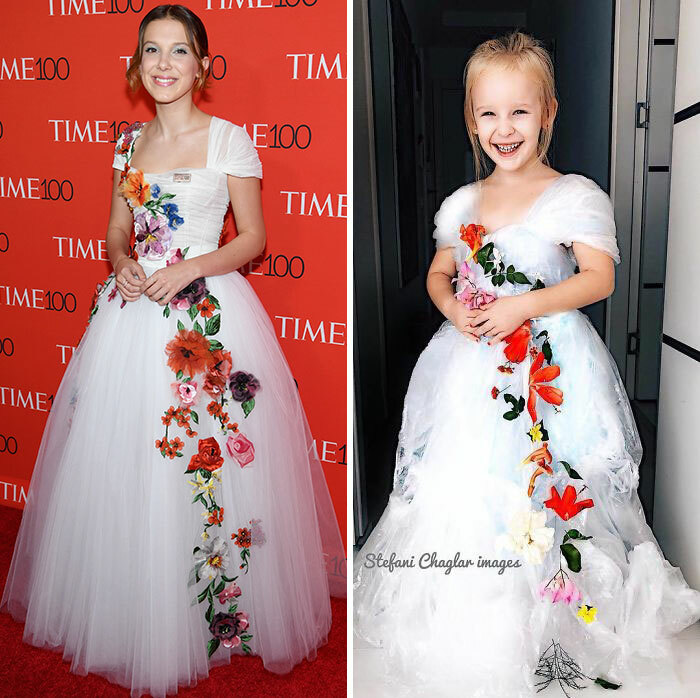 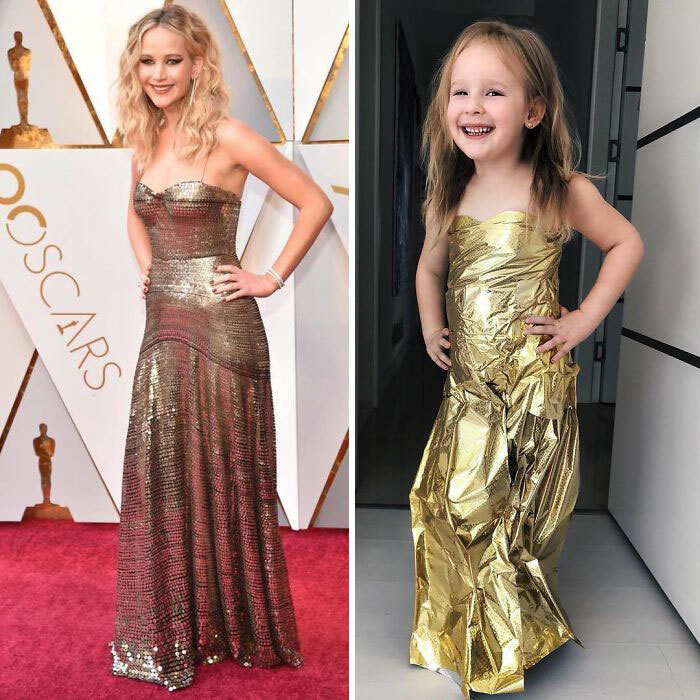 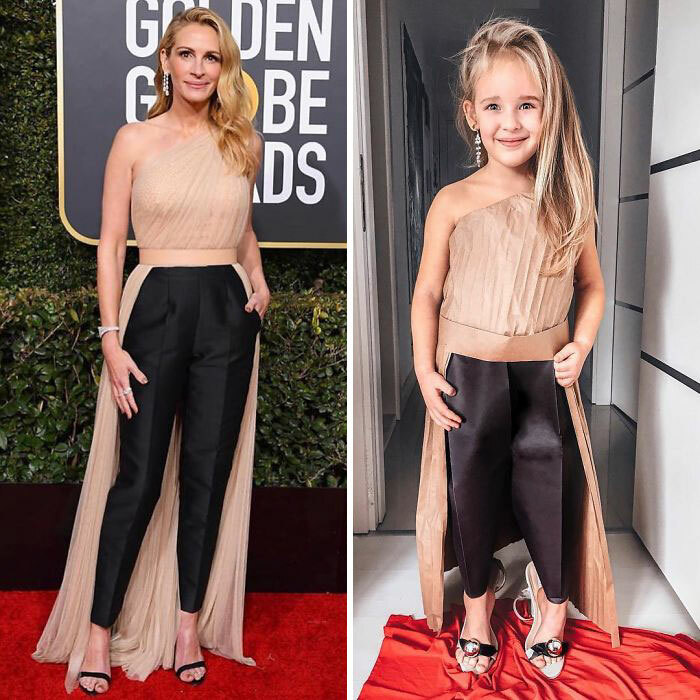 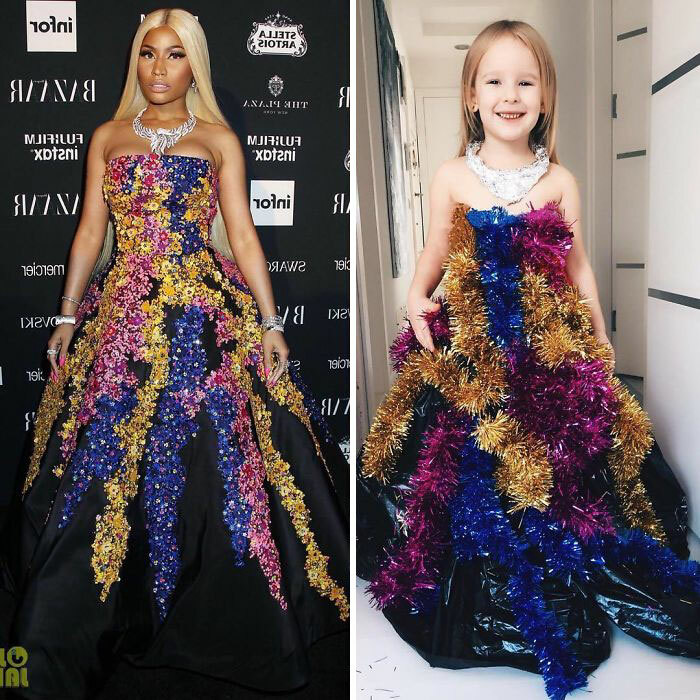 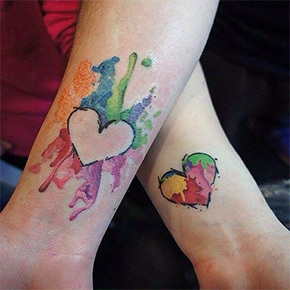 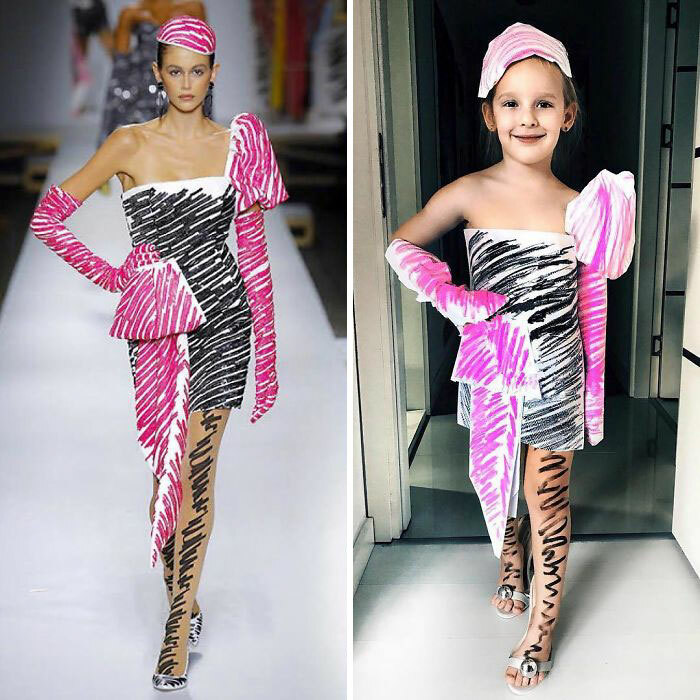 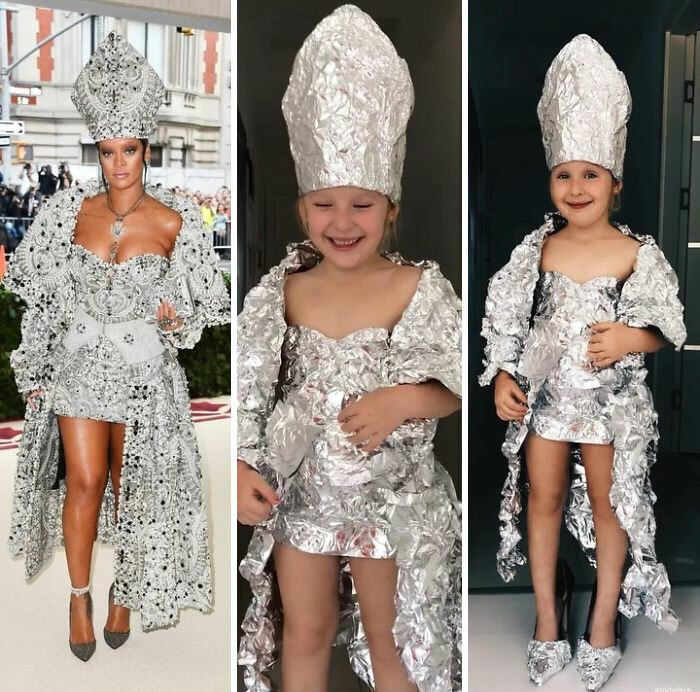 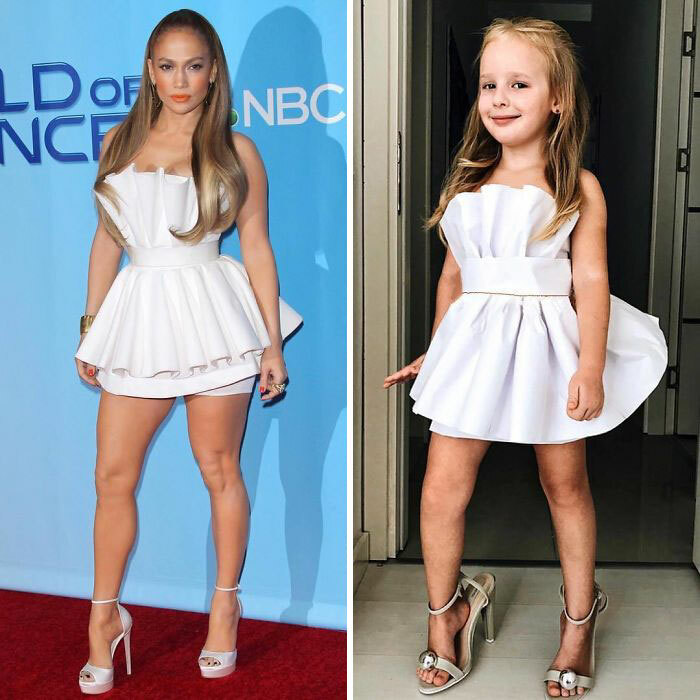 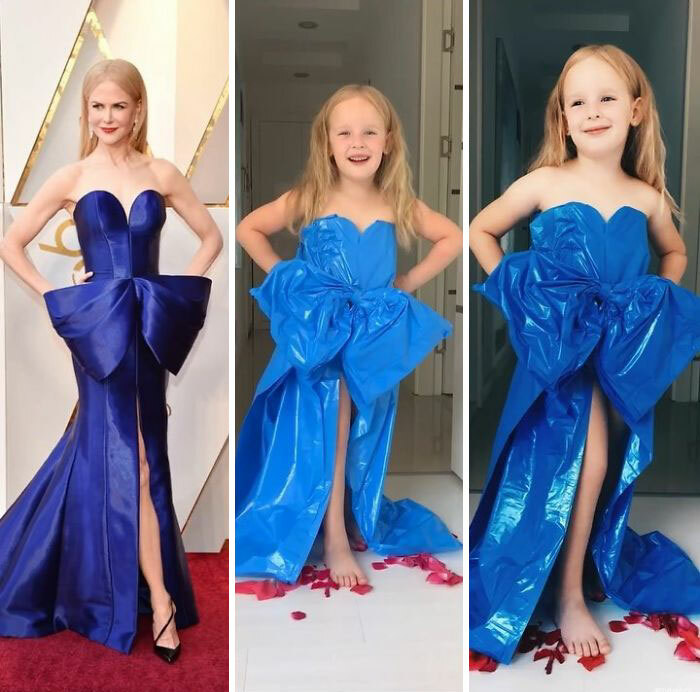 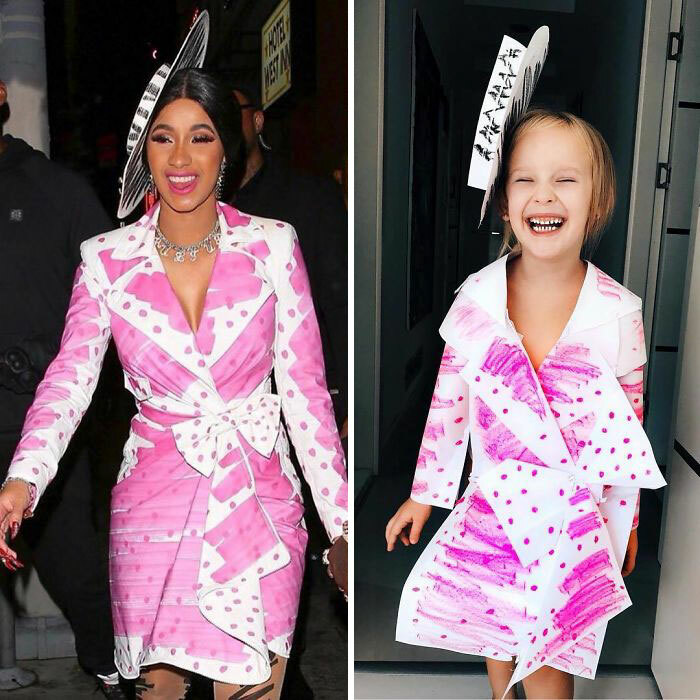 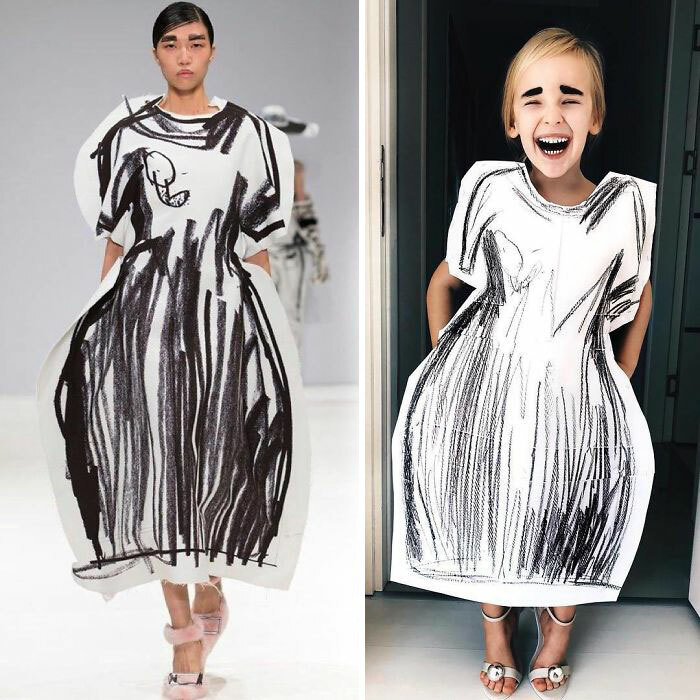 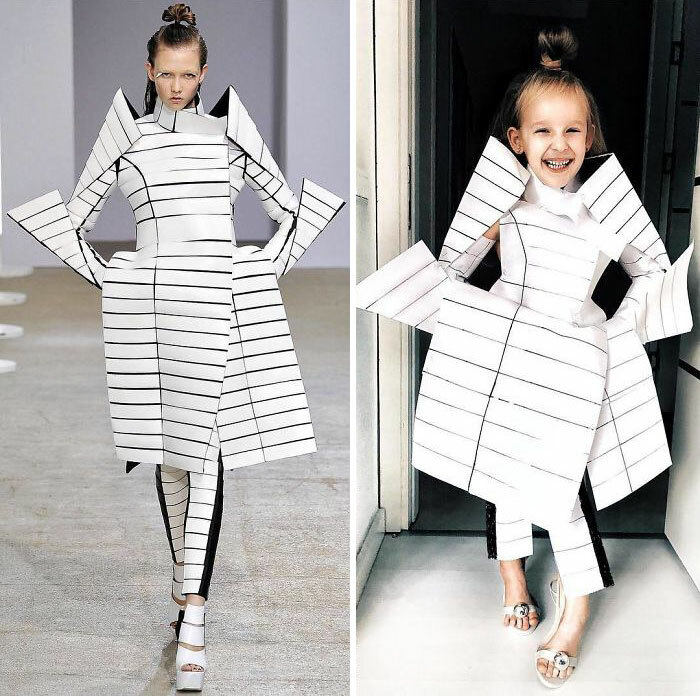 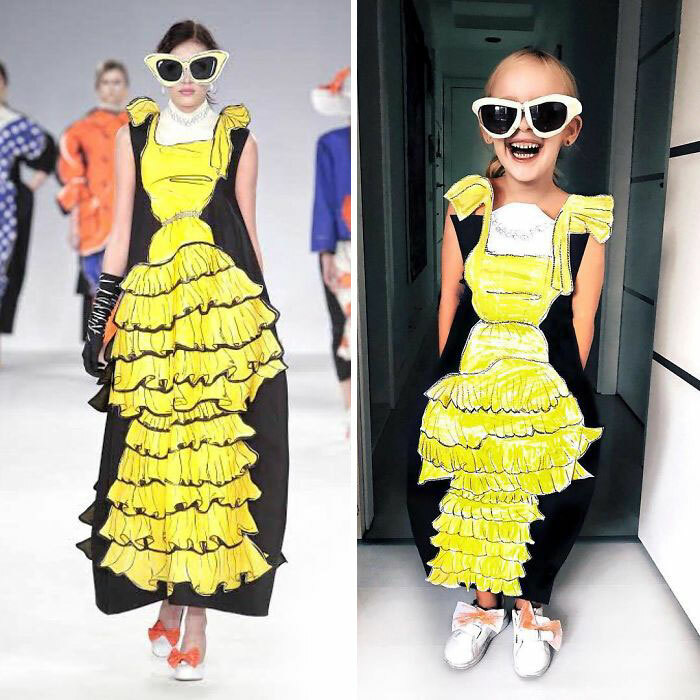 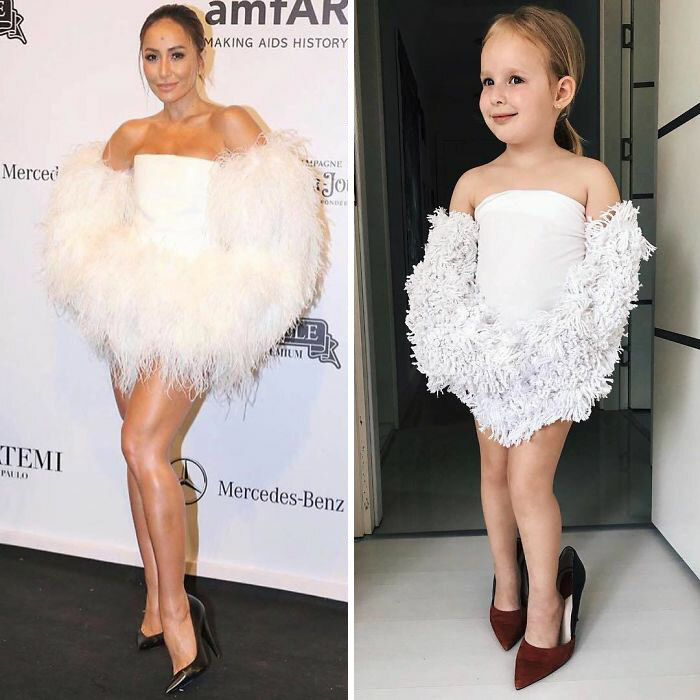 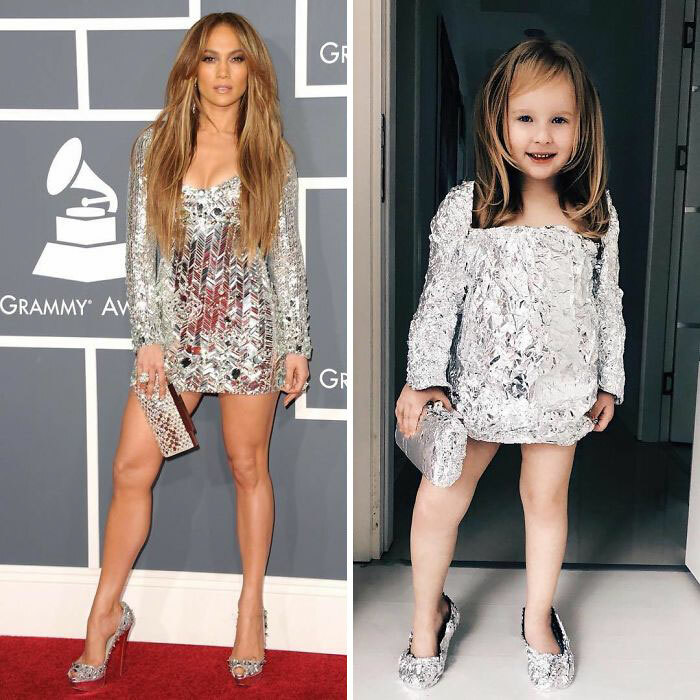 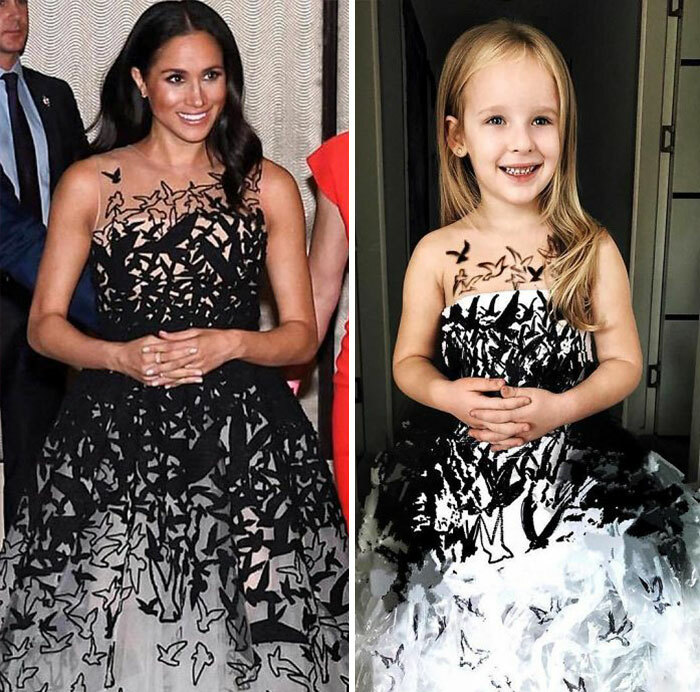 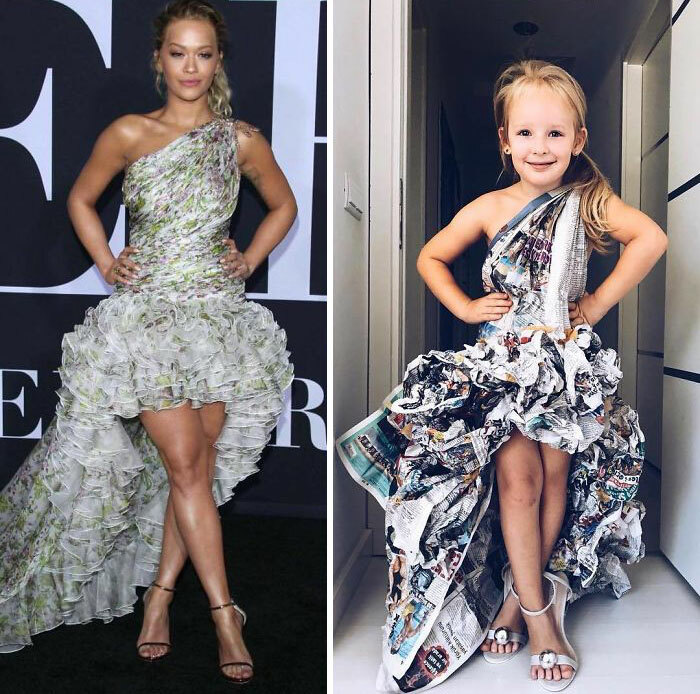 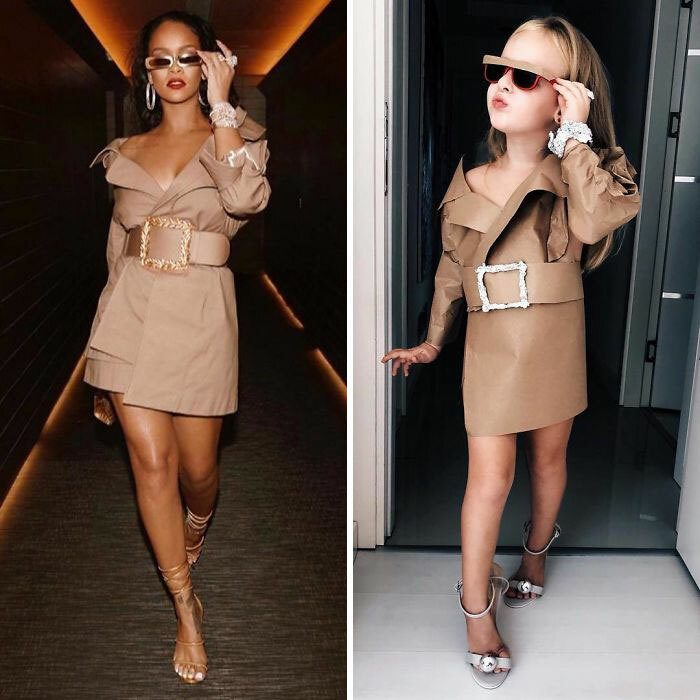 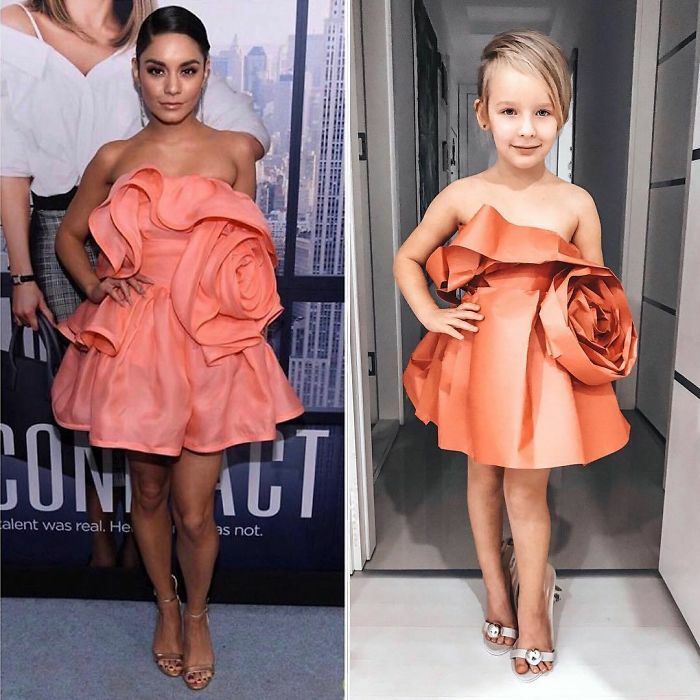 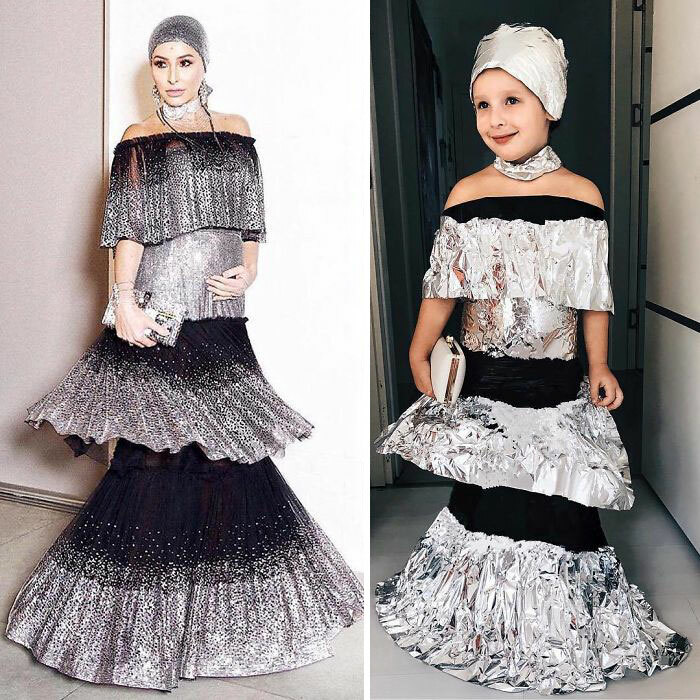 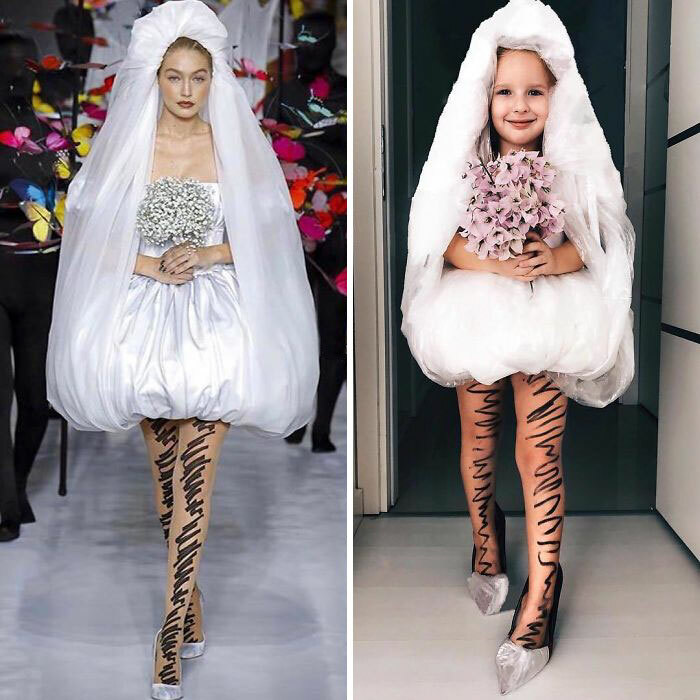 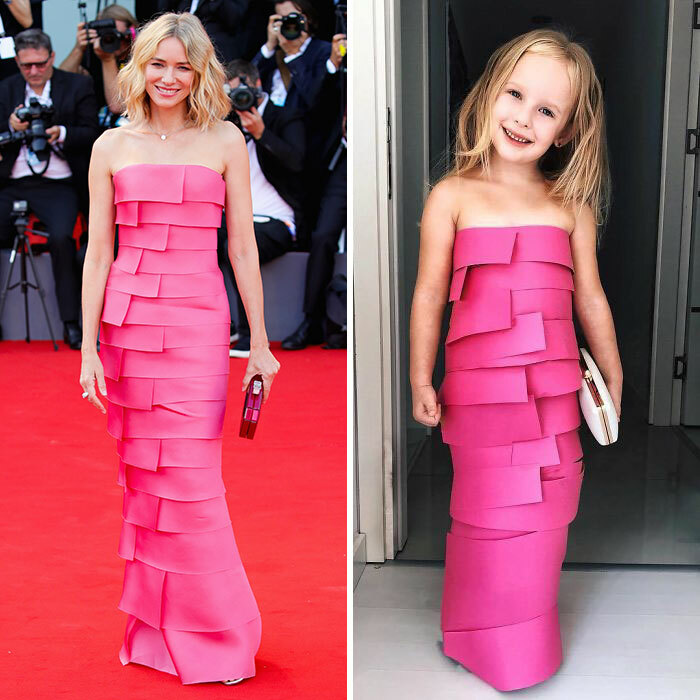 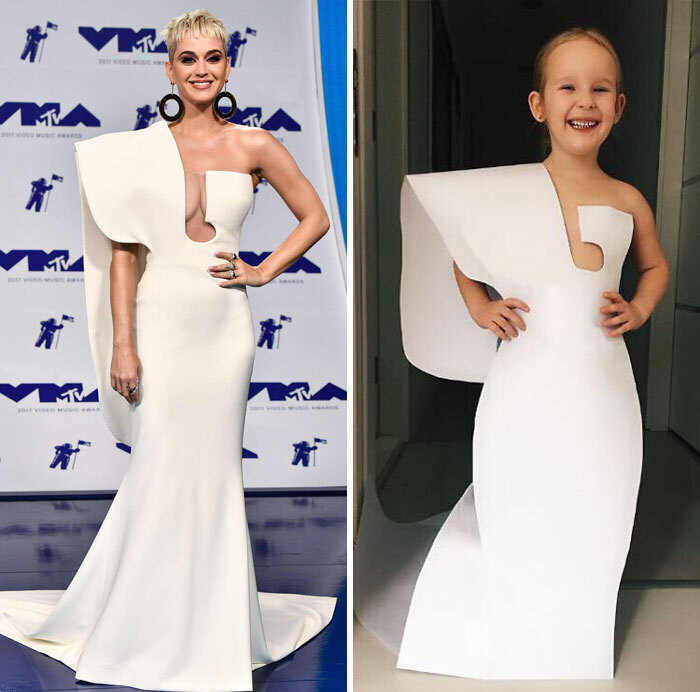 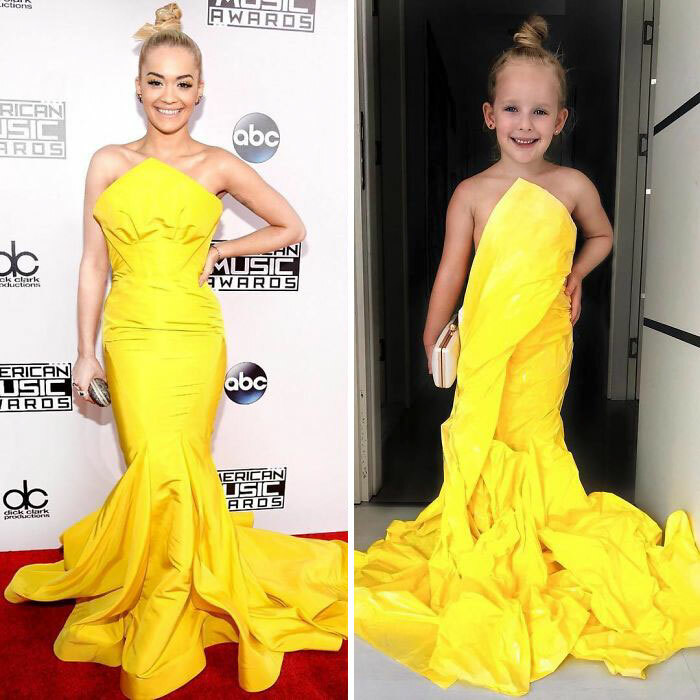 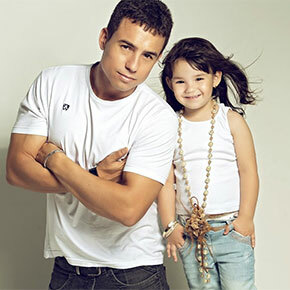 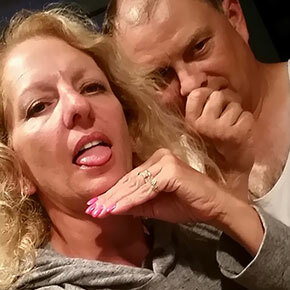 She recreated the look on her daughter, Stefani, with the materials she had on hand and the photo quickly went viral. 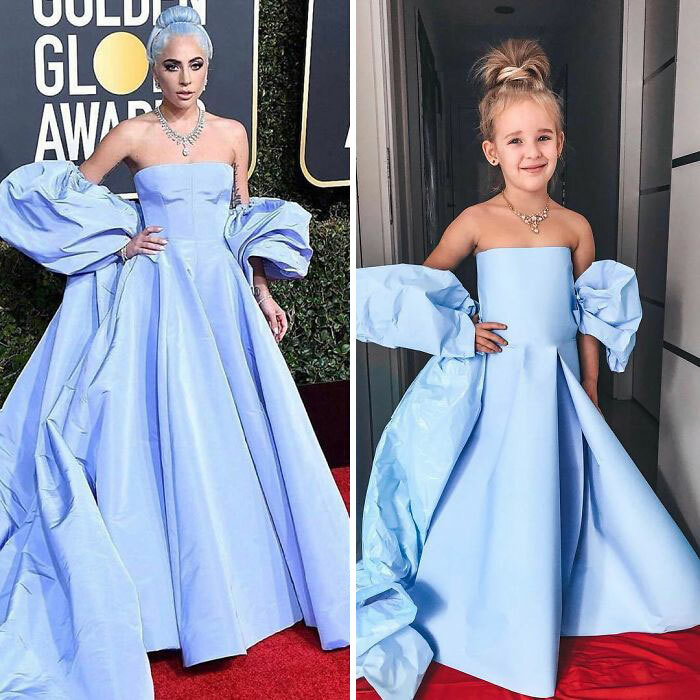 Since then, she and her daughter started posting more recreated looks and tagging them with the #ahStefani hashtag. 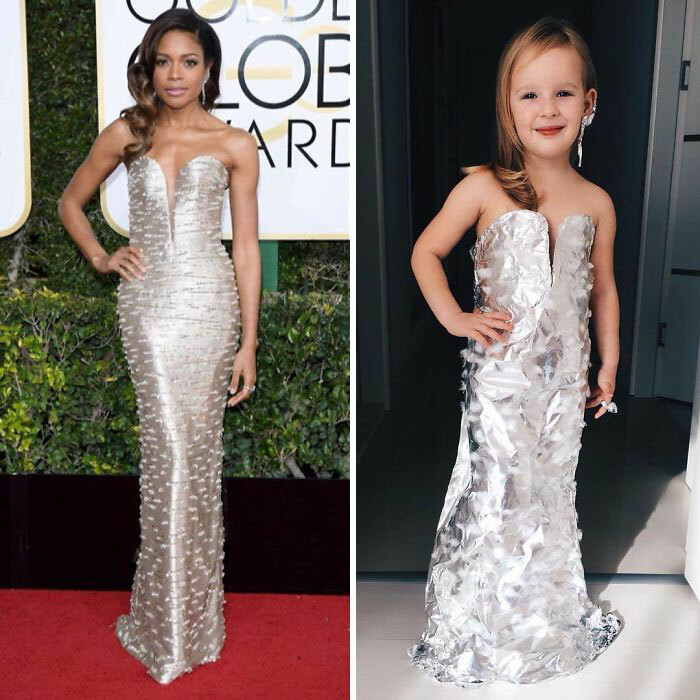 Alya says they only use paper, plastic, tin foil and other materials you can find at home. 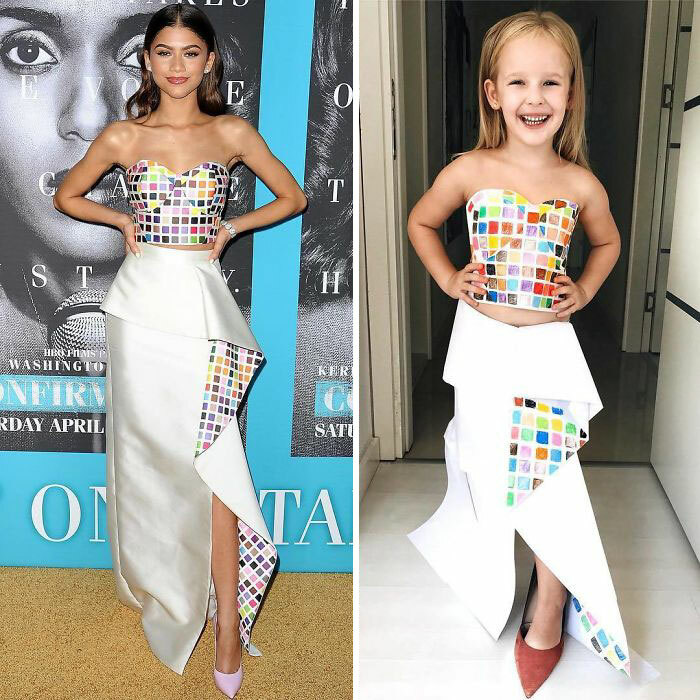 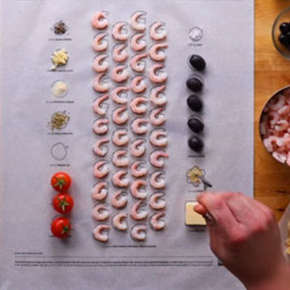 Each outfit roughly takes around 10 to 30 minutes to create. 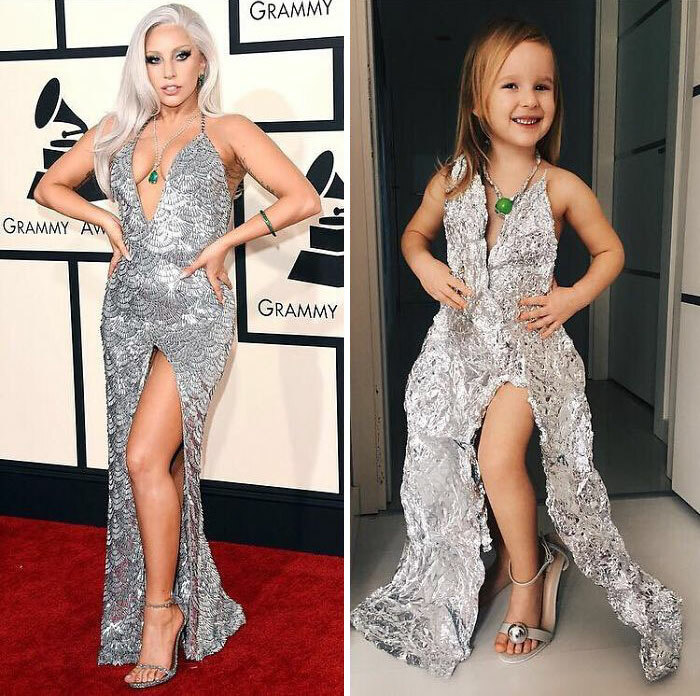 Stefani says she loves recreating the looks and hopes to become a fashion designer when she grows up. 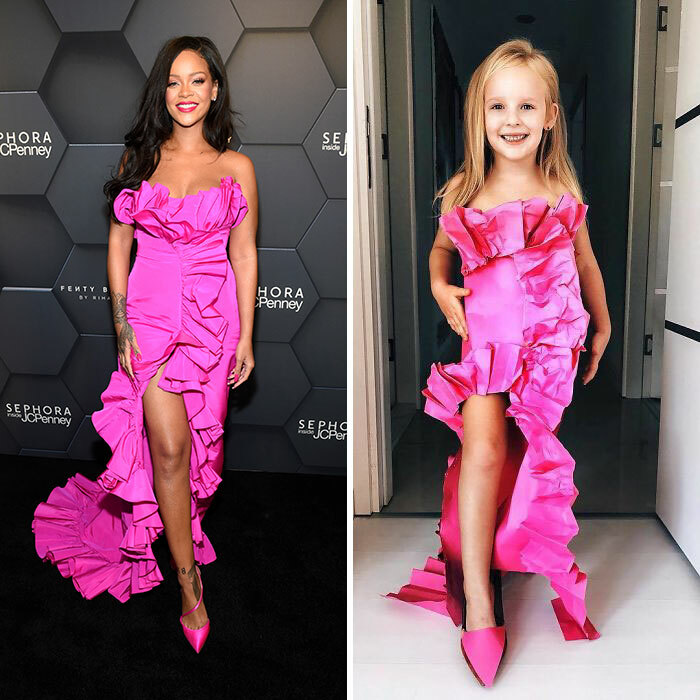 See the recreated red-carpet looks in the gallery below and if you want more, check out the vegetable dresses Alya and Stefani created before here!